Welcome to the website for the Annual Meeting of the Indian Biophysical Society 2016! 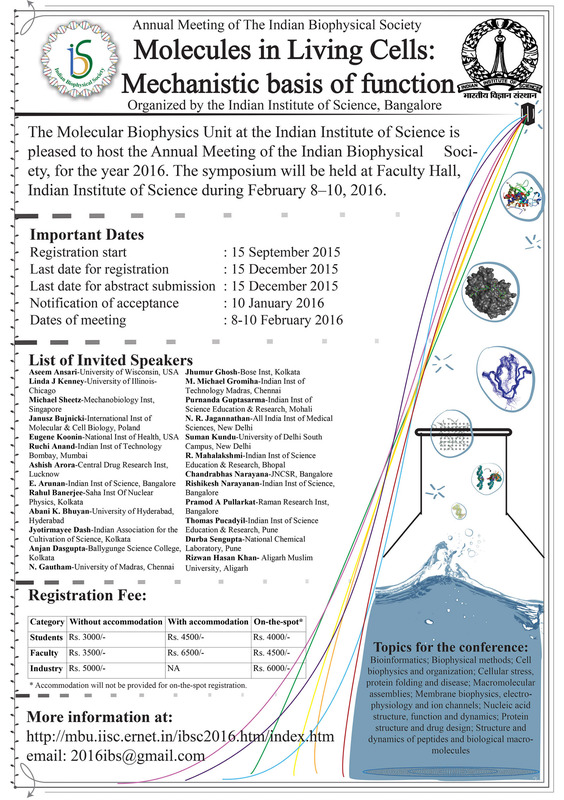 The Molecular Biophysics Unit at the Indian Institute of Science is pleased to host the Annual Meeting of the Indian Biophysical Society, for the year 2016. The symposium will be held at Faculty Hall, Indian Institute of Science during February 8–10, 2016. Website built using Adobe Dreamweaver.